Examine what the law says and what the law does – and learn the difference between the two. 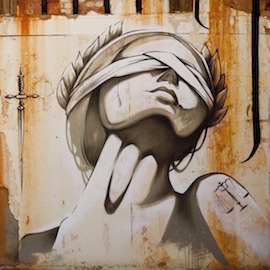 Our Law and Society program applies a critical approach to revealing the underlying relationship between law and society by using social factors that have a daily effect on people's lives. Our campus is conveniently located near Brantford’s court and legal centres, which provide many opportunities for learning outside the classroom. This program is committed to teaching the technical aspects of the law and how the law functions and the way it is influenced. You can also apply for the Bachelor of Laws (University of Sussex, UK) and Bachelor of Arts (Laurier) program, where you earn an honours Arts degree from Laurier and a law degree from the University of Sussex, United Kingdom in six years. Laurier is one of only a handful of universities to offer a Law and Society program, and you can also take courses in related disciplines like Criminology, Psychology and Human Rights and Human Diversity.